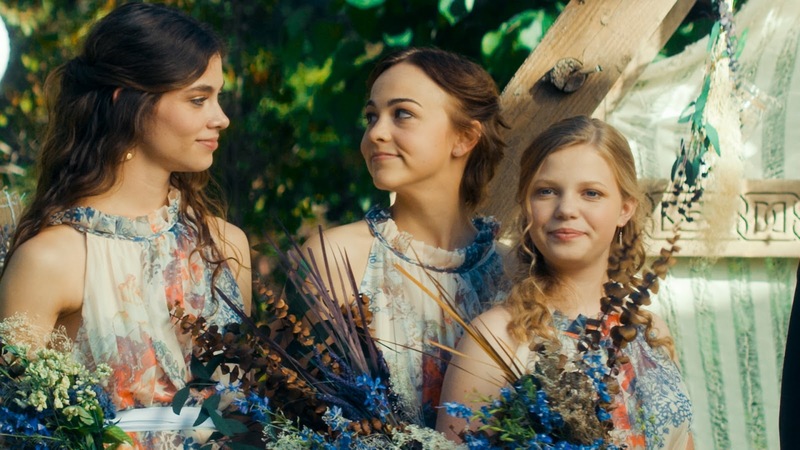 I can now share my thoughts with you after having pre-screened the movie "Little Women" -- a modern retelling of Louisa May Alcott's classic novel. Movie theaters will be bustling with imagination, dreams, and love on Friday, September 28, 2018.
our own kind of dream to be weaving..."
With such diverse personalities, there's sure to be a character you can relate to. In this modern version, Jo seems more feisty than in the 90s movie. She has a tendency to act out physically and then regret her actions soon after. For some viewers, that might make it harder to love her, but other viewers are likely to relate to her more as an imperfect, complicated person. This movie, set in the present day, stays fairly true to the original story. Slight alterations didn't change the overall feel of the movie. The biggest difference is the modern day party in place of the formal dance. While I don't love teen drinking depicted in movies, I see it as an opportunity for my kids to learn from the mistakes of others. Lea Thompson, from "Back to the Future" and "Switched at Birth" fame, plays such a sweet and encouraging mom. Marmee is able to encourage her daughters to follow their dreams while embracing their unique personalities. All the acting was superb, although at times it was hard to think of the sisters as teenagers when they are played by the same actors in the past and present day scenes. One of the takeaway messages of the movie is that we each have our own dreams to pursue and that the pursuit of a dream isn't always an easy journey. If you're looking for a heart warming movie, check out "Little Women" on September 28, 2018. "Little Women" Official Website to find a theater and to learn more about the movie and the cast. "Little Women" Blog has interesting articles and a number of quotes by Louisa May Alcott! "Little Women" Facebook Page has photos, quotes, and videos.